DNA methylation is an epigenetic modification of the DNA sequence and thus does not change the genetic code but affects chromosomal stability and gene expression. DNA methylation patterns are heritable and can be passed on to the daughter cell. In this review, we briefly summarize our current knowledge on normal DNA methylation patterns and move on to discuss the current state of the field with respect to altered DNA methylation in cancer. We make a special attempt to address current questions relating to genome-wide DNA methylation patterns. 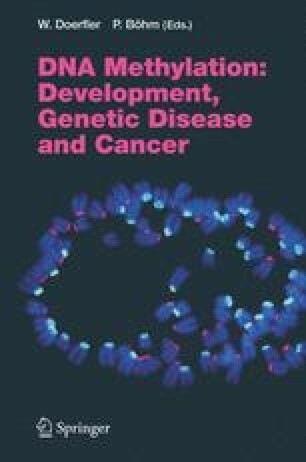 Since DNA methylation is used as a therapeutic target in clinical studies, it is of utmost importance to define potential target sequences that could be used as diagnostic or prognostic markers. We conclude the review by outlining possible scenarios that may explain tumor type-specific DNA methylation patterns described by assays evaluating genome-wide levels of DNA methylation.